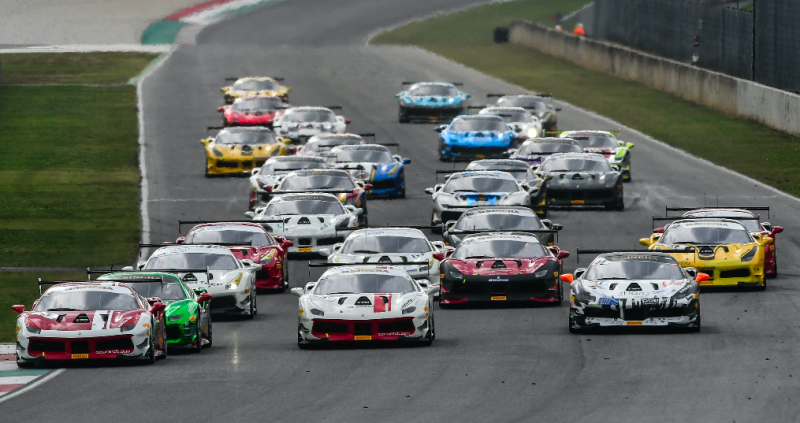 The Ferrari Challenge one-make series could operate a standalone series in Australia as soon as 2020, according to the man in charge of the Italian brand’s customer racing program. Speaking from his office overlooking the famous Fiorano track alongside the Ferrari factory in Maranello, the head of Corse Clienti, Antonello Coletta, told Speedcafe.com of plans to introduce the Ferrari Challenge to Australia in as little as two years. The Ferrari Challenge, which utilises the brand’s 488 Challenge car, would naturally compete with Porsche’s Carrera Cup and the Australian GT Championship as a way for wealthy motorsport enthusiasts and professional drivers to race in a factory-backed championship in purpose-built race cars. The Carrera Cup has a history of attracting name drivers and fostering rising stars, including Australian Matt Campbell. “Our idea is to expand in Australia … to come in with a domestic championship, like Porsche for example,” said Coletta. Last month Ferrari announced it was evaluating a UK series of the Ferrari Challenge for 2019, something that would act as a pilot for a possible Australian series the following year. Coletta says that the UK championship is almost certain to happen, pending interest from would-be racers. Running since 1993 in Europe, the Ferrari Challenge is also conducted in North America and Asia-Pacific using the latest 488 Challenge cars. The Asia-Pacific series will be on the support card for this month’s Australian Grand Prix before heading to Hampton Downs in New Zealand, another country likely to be included in an Australian series. Coletta said Ferrari’s motorsport activities outside F1 were now “one of the most important marketing activities around the world” for the brand. It also harks back to the history of Ferrari. Enzo Ferrari created Scuderia Ferrari in 1929 as a team to support racers of Alfa Romeos, which in the early motorsport era were among the most successful marques. From 1947 he produced race and road cars under the Ferrari name.